It’s unfortunate that the U.S. economic decline has greatly affected the online business industry. The decline has caused a lot of once popular websites to shut down and stop operating altogether. This has led to a large number of expired domains (that is, domain names no longer renewed by their owners). These domains could be bought by new owners who are looking to use them and benefit from them. There are various reasons why people establish domain names, create, build and design websites, and promote them, only to let them go eventually, either intentionally or unintentionally. These reasons include a declining business, a business changing its products and services, a business changing its target market and clients, partnership disagreements and a lot more. 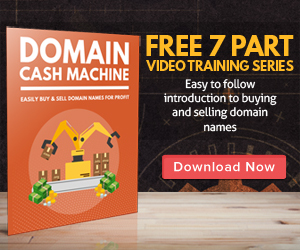 As a result, these expired domains could well turn out to be gold mines for you and your business, though they could have meant nothing to the bigger online entrepreneurs. There are a lot of websites that give more information on acquiring expired domains and provide a good list of expired domain names that are available. It would be advisable to try going to these websites first to read up on what you have to know to succeed with expired domains.